I´m a new member here but that has been planning on coming around to it for years and years, but am still on step one. So here we go. I am 40 years old and up till recently had my own business, workshop and store as a leathercrafter. Had to close down due to rebuilding in my shop area, so at the moment i mostly gym and plan ahead for new work and the plans for 2019, for this summers Birka event and of course, to get my 501 setup and application approved. I met the 501 in Sweden Stockholm in 2014 i think it was on Gamex, or if it was the first ComicCon, and we where asked by a member if we where going to join after they found our cosplay gear to be of good standard and quality. We where there for EA and Bioware to Cosplay for Dragon Age Inquisition at the time. These guys we met where fantastic, very polite and an awesome crew. Always nice to pose with Vader and Stormtroopers and to chitchat a bit with Malgus. Anyways, i will be looking into getting onward with my plan, that is among other things to get a Death Trooper gear, and i am sure i will have a lot of questions and weird details to dig into with the help from you. I wish all had a Merry Yule and a Happy New Year, and thank you for taking the time to read my story. 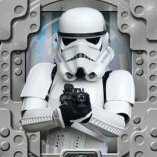 Welcome to the FISD future Death Trooper! Leathercrafter, you say? You will find that to be a very valuable skill in the Legion. Happy new year Johan and welcome to the FISD. In case you have any questions, just let us know. Wow! A friend for Daniel (The Swede)! Welcome aboard! As for the me being a leathercrafter. If i can help in any way or if anyone has any questions about leather, types of leather, colors, durability, patina techniques etc, feel free to ask away in any way or form. I can post some crafts later on in the Non SW costume department. Welcome, Johan. My goodness, I missed you last month! Taught myself some rudimentary leatherworking for my holster. I'm sure any tips you post (maybe in the tutorials section?) would be welcome! Welcome to the FISD, Johan! 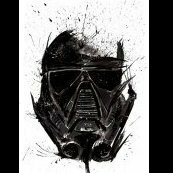 Are you planning to build a Rouge One Deathtrooper? 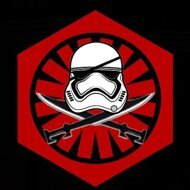 If so, you will also want to check out the 501st Special Ops forum as well. Thank you. The Rogue One DeathTrooper was the plan among others yes. The 501 forum is on one of my tabs, so thank you for that indeed. Considering how much I enjoyed it, I'm likely to continue! I'll let you know when I update my build thread with the pictures of my completed holster. Looking forward to seeing your build threads, on whatever forum they may land. Looking forward to the holster, and am actually gonna make another holster for a customer soon. A concealed version of a PPQ 22, so i´m sure that will bring me more than enough headache before i am pleased haha. leathercrafter, looking forward to your build and holster. Thank you. I added some previous crafts in the gallery of non SW costumes for now. Trying to figure out all the different stores to buy an armor from, looking on what it takes to make it at home and weighing the ups and downs of them both. Preferably, i would guess it would make most sense to buy the first setup from a very well known source and well respected in the community, then make the second one from looking at how the bought one was made. Not copying it or re-molding it of course, but looking at part for part and making setup nr 2 from scratch. hi and welcome to fisd ! Preferably, i would guess it would make most sense to buy the first setup from a very well known source and well respected in the community, then make the second one from looking at how the bought one was made. Not copying it or re-molding it of course, but looking at part for﻿ part and making setup nr 2 from scratch. I totally understand wanting to get your hands on a properly completed kit. @gatetrooper brought his (Centurion-level) armor to my first armor party and so much of my 2D research made sense in 3D. Maybe your local garrison has a shindig soon. So you'd like to buy a pre-built kit and then sculpt your own, or just use it as a template for assembly of a kit? Also I've heard it's tough to buy a finished set that will fit you perfectly. I'm sure others with more knowledge can weigh in on that. Ah, but "canon" and "acceptable" pale before the power of "fun"
I was sculpting a helmet for Seventh Sister before I started my TK and working with these vac-formed pieces has helped me understand how I'll need to form her hard armor so much better. I'd only done fabric work before that, too (pattern drafting etc). Troopers make good learning projects imo because there's just SO much documentation and help.